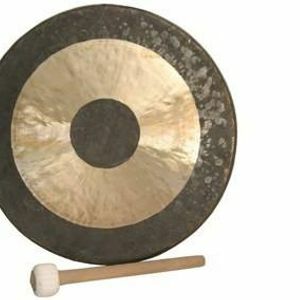 > 60 mins lying on the floor wrapped in a blanket as the Gong sound vibrations work through your mind and body. > Balances both hemispheres of the brain. > Cleanses negative energy and emotions. > Helps to recover after illness, traumas and invasive medical treatments. > Helps to cope with life's challenges. > Increases vital energy flow, creativity, intuition and motivation. > Removes blockages and toxins. > Soothes, purify and harmonise your emotions and feelings. > Stimulates endocrine glands and regulates hormonal functioning. Please note: For your own comfort I would recommend bringing a blanket, cushion - even a sleeping bag will work as the whole session is lying down :) The event will start at 2.30 - please aim to arrive at 2.15pm and wait outside the Brunswick Room.